Raise your hand if you used to anxiously tune in to the Oprah Winfrey Show everyday near the end of November in anticipation of it being the "Oprah's Favorite Things" episode. You never knew what day it would air, and neither would the guests in the crowd, until Oprah and her elves would announce it was OPRAH'S. FAVORITE. THINGS!!!! Cue the crowd going wild because they knew they were about to rake in loads of presents that made it on Oprah's Favorite's list. I remember being in middle school turning the TV on at 4PM and going crazy when it would be this special episode. Oprah makes a list of her favorite things and then gives everyone in the audience one of each of those things. Ranging in price anywhere from $30 to $3,000+! RIP the Oprah Winfrey Show and long live the year when she gave everyone their very own VW Bug. "You get a car! You get a car!" I wanted to curate a gift guide for the blog this year. Inspired by Oprah, I bring you, Annie's Favorite Things! These are all things I own and love and want you to know about. They range in price and genre, fitting for stocking stuffers to nicer gifts. Click through the gallery below to shop the items on my list! A little background: my Le Cruset makes me feel like Ina Garten (and yes mine is pink), these coil hair ties are everything and give you the perfect perky pony, I love my mini SCOUT wallet, it's perfect for going day to night (disclosure this isn't the exact one I have but they don't sell mine anymore). The CocoKind Matcha stick is a magic dry skin healer/under eye de-puffer, this MAC lipstick in TWIG is my everyday/every night color. I love changing my Cinema Lightbox for the holidays or with different sayings, these Dolce Vita boots are maybe my most worn thing I've ever bought, the My Little Steamer is a must for every girl, peppermint essential oil gets doused over my forehead when I have a head ache, all over my tummy when I'm bloated and goes into my smoothies for a seasonal boost. Rails plaid shirts are the softest shirts ever. I proudly own two and I'm flipping out over these pajamas they have this year. The Nutri Ninja is my most used kitchen gadget and makes perfect single size smoothies and protein shakes, these gray sneaks from Target are my best kept secret, the Healthy Human tumblers are a chic version of a Yeti and what I drink my water and smoothies and tea from errrrryday, keeps them ice cold or piping hot. Lastly this is the best (and cheapest) dry shampoo ever just make sure you get it in the "fresh" scent. You get a Rails shirt, you get a Dolce Vita Over the Knee boot, you get a My Little Steamer! I love my job, but if I could quit my job and just stay home and bake all day, I'd be the happiest. And probably the fattest. This time of year especially, all I want to do is bake. I'm a little down to the wire, but I still had a few special people I wanted to gift with a little something. 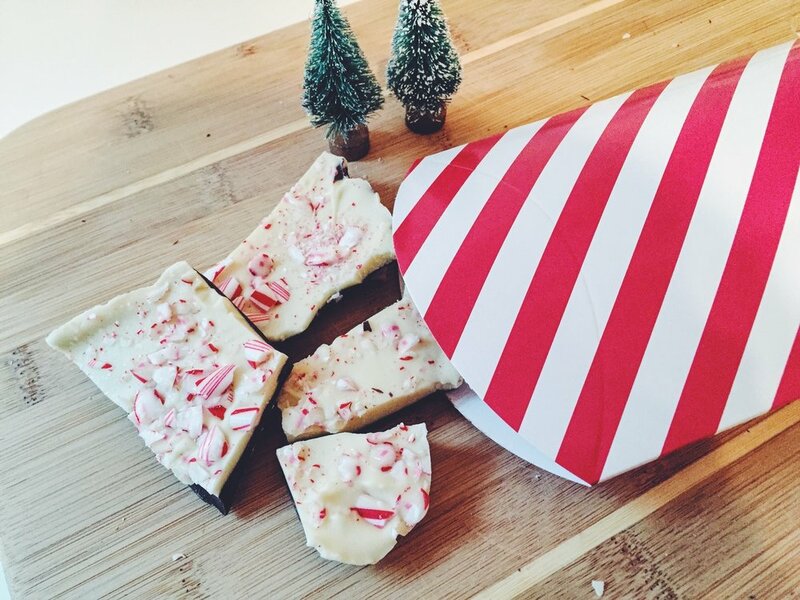 I made up a batch of my peppermint bark and cookie butter rice krispie treats, with festive sprinkles, of course. Packaged them up and I'm getting them delivered today. Below I have rounded up tasty holiday treats, some made by me, the rest inspired by others. Co-workers, neighbors, classmates, instructors, yourself ;), anyone who is still left on your list would love one of these treats! Just click on any picture above for it to take you to the recipe. 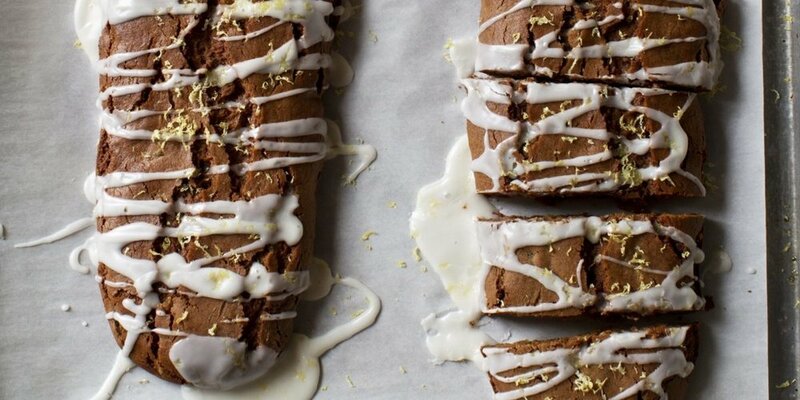 The first few recipes are pulled from the TAB archives, but these other gorgeous recipes are from the gals below! 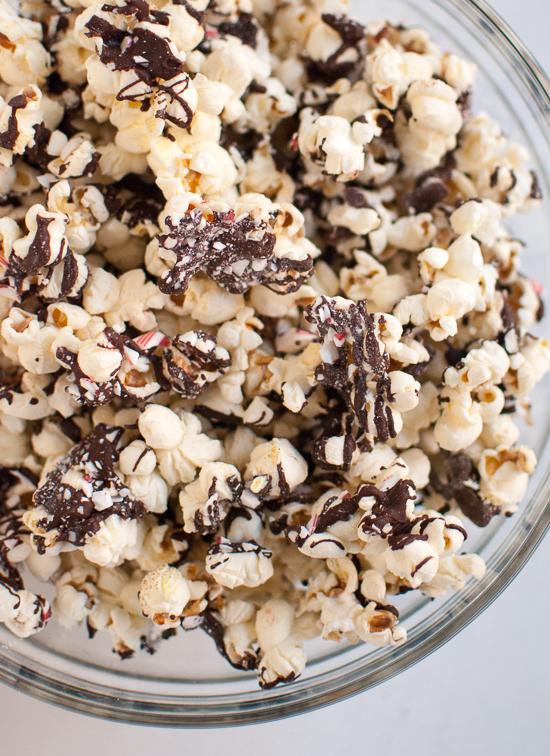 And because it's the season of giving, I'm giving you a few more ideas that could easily be transformed Christmasy with a few sprinkles or red & green colored candies like my Signature Sugar Cookies (we make these for santa every year), Cookie Butter Rice Krispies, Cookie Butter Popcorn, M&M Cookie Pizza, Homemade Pop Tarts and Slutty Brownies. I'm spicing my sugar cookies up a bit this year and adding crystallized ginger in them. Inspired by Ina of course. Because WWTBCD? Add crystallized ginger to her sugar cookies! I'll keep you posted on how they turn out. One of my favorite parts of the blog world is when gift guides hit the interweb. I can kill some serious time scouring through gift guide posts, opening new tabs left and right, perusing the products bloggers are promoting. I used to think gift guides were more of just an excuse for a post and didn't really produce good curated content. These days there are some seriously good guides out there. Listed below are some of my favorite guides this season. *BONUS* The perfect playlist to listen to during your holiday online shopping! Cup of Jo's Gift Guides that includes ideas for people such as "Your Little Brother Who Throws Your Kids Way Up in the Air and Makes a Mean Grilled Cheese" (she is continually adding new guides). LC's Gift Guide for the Fitness Buff. Gaby's Ultimate Kitchie Gift Guide, salt cellar and spiralizer please! The Gilmore Girls Beauty Gift Guide, duh. Amazon's Gift Guide for the party planners. The Gift Subscription Gift Guide (Kathleen gifted me Try the World last year, and I loved it)! 100 Gifts under $25 Guide. Perfect for Dirty Santa parties, friends, neighbors etc! Moscow mules and glasses of champagne to toast the next stage of life, sophisticated luggage for business trips or girl trips, portable speakers for dorm room jam sessions or background dinner party tunes, functional storage for moving into a first apartment or into a tiny college dorm (the lid is sturdy enough to double as extra seating), an inspiration art print for decoration and a reminder to never settle, a pretty leather bag to carry papers in to work or your books to class, and a frying pan for cooking up the next stage of life. And because who else has seen the episode of Laguna Beach when Kristen's dad gets her a frying pan for graduation? Whether you know a high school or a college graduate this gift guide appeals to both! Having personally gone through both and seeing two older sisters graduate as well, I have a pretty good handle on what is appropriate, functional, necessary and fun!